Reliable sources in the USA have said that massive Hero Motor Corporation are to buy out all of the EBR shares from Eric Buell and now own the Erik Buell Racing operation in total. Sources also said that Erik Buell has also been given full time employment and the famous American motorcycle brand will remain in place. 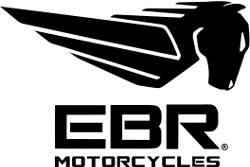 This is great news for EBR customers and fans along with their agencies and dealers worldwide. New Delhi, July 28, 2015: HMCL NA, Inc. and HMCL Americas, Inc. (both wholly owned subsidiaries of Hero MotoCorp Ltd.) have entered into a “Settlement Agreement” with the “Receiver” appointed by the Circuit Court , Wisconsin, U.S.A. in the matter of Chapter 128 Receivership filed by the Erik Buell Racing, Inc. and Erik Buell LLC (“EBR”). As per the Settlement Agreement, HMCL Americas Inc. has agreed to acquire the ownership of certain tangible and intangible assets of EBR free and clear of all encumbrances, for a consideration of US$ 2.8 million. HMCL and the Receiver have also agreed to resolve all disputes and fully give mutual releases in terms of the Settlement Agreement for all subject matters which is in any way related to EBR. The Settlement Agreement is, inter alia, contingent upon the approval by the Circuit Court; and the approval of the board of directors of Hero MotoCorp, authorizing its joinder as a direct party to the Settlement Agreement on or before August 10, 2015. The performance of the Settlement Agreement will help Hero MotoCorp’s in-house research and development teams to accelerate development of certain consulting projects, including the projects EBR was executing for the Company at the time of filing of the Chapter 128 Receivership. EBR Inc., in which the Company has an equity investment, and EBR Inc.’s subsidiary EBR LLC had ceased their operations with effect from April 15, 2015 and had filed for the Chapter 128 Receivership before the Circuit Court. The notice of motion with regards to the Settlement Agreement will be filed in the Circuit Court in the next few days.